PPC Agency | Pay Per Click Company | Google AdWords | Batish Technologies Pvt. 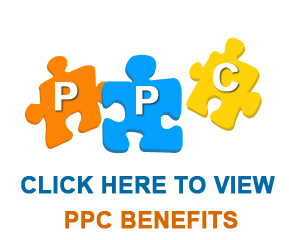 Ltd. Pay Per Click (PPC) – Batish Technologies Pvt. Ltd.
Batish Technologies, specializes in campaign setting for top search engines like Google, Yahoo and Bing. Our expert team uses latest and cutting edge technology tools to create, monitor and change the PPC campaigns for client’s business. Best part is client has to pay only on click of the ad in PPC. It is a good brand building tactic for a business geared towards internet presence.The entire process is targeted to deliver maximum return on investment (ROI) for the client. We are successfully managing large budget campaigns for clients across the globe by improving the ad quality score and getting higher position for ads in internet searches. Our customers range from large online stores, ticketing companies, real estate agents, banking and financial sector majors to mention a few. We are providing AdWords management services to our clients across the globe. For more information on our PPC, Google AdWords Campaign Management and Search Engine Marketing, you can contact us.